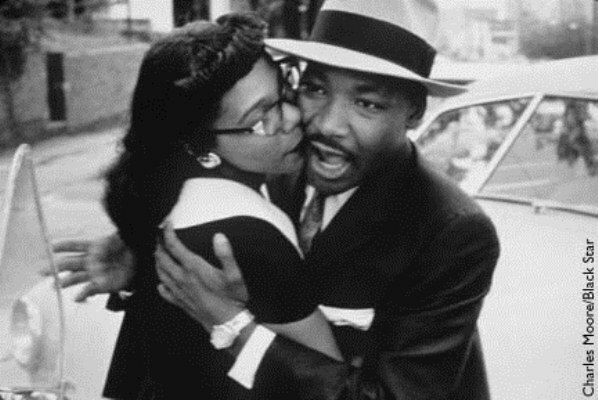 In honor of Dr. Martin Luther King Jr. lets take a look back at the wedding day. 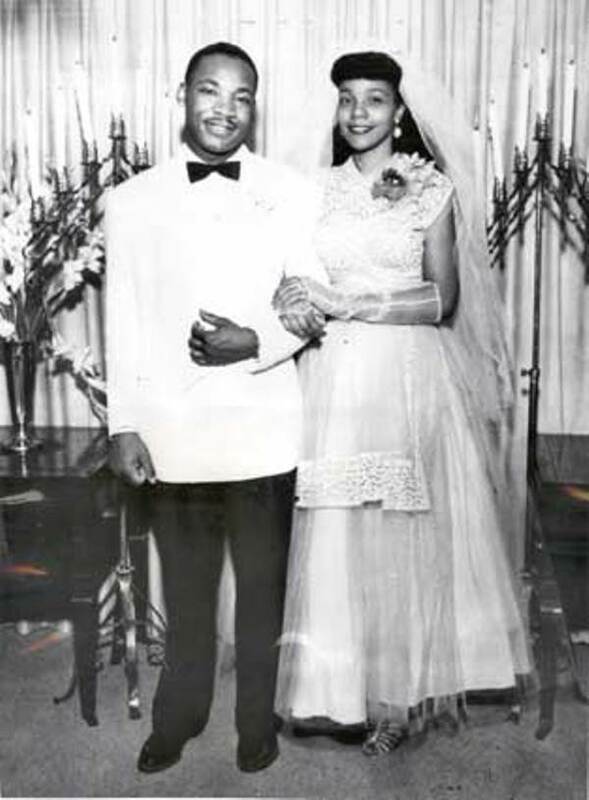 In Marion, Alabama on June 18, 1953 Martin Luther King and his wife Coretta Scott King exchanged their vows in a backyard wedding at her parent's home. King's father, Reverend King Sr., lead the ceremony while her sister, Edythe Bagely, was the maid of honor and his brother, Reverend A.D. King, was his best man. At this time, weddings were based on romance and simplicity. Martin wore a pure white jacket and shirt with a black bow tie and black slacks. 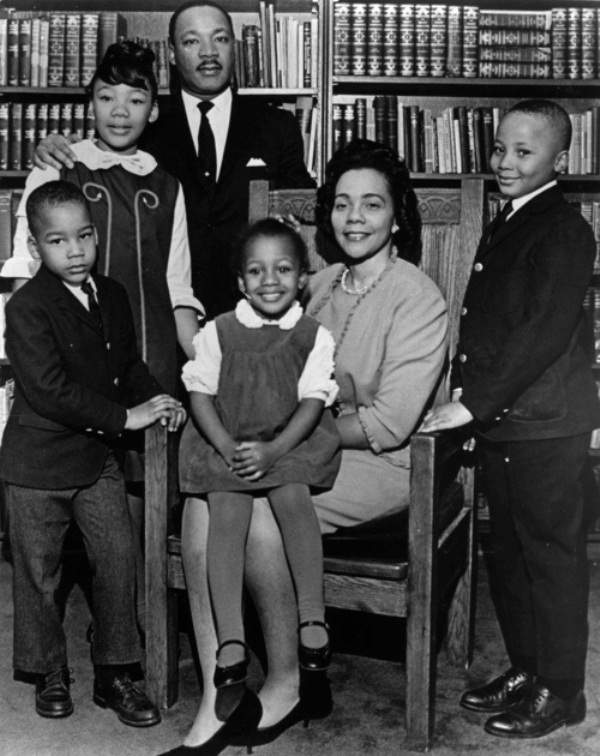 Coretta wore a beautiful capped sleeved gown with sheer gloves and peep-toe sandals. According to Bridalguide.com, gloves were very popular in the 50s; made of tulle, lace, or satin. Gowns and veils were also shorter to show off the shoes. Sweetheart necklines and capped sleeves are more so popular today than ever, as they can be included in various styles of wedding dresses. Short dresses are becoming more popular as well - tying in with more casual and/beach themed weddings.